Stock up on diapers at Publix. Weekly Sale (Valid 2/7-2/13). Publix has an unadvertised sale on Huggies Snug & Dry at $7.99, Reg $8.99. 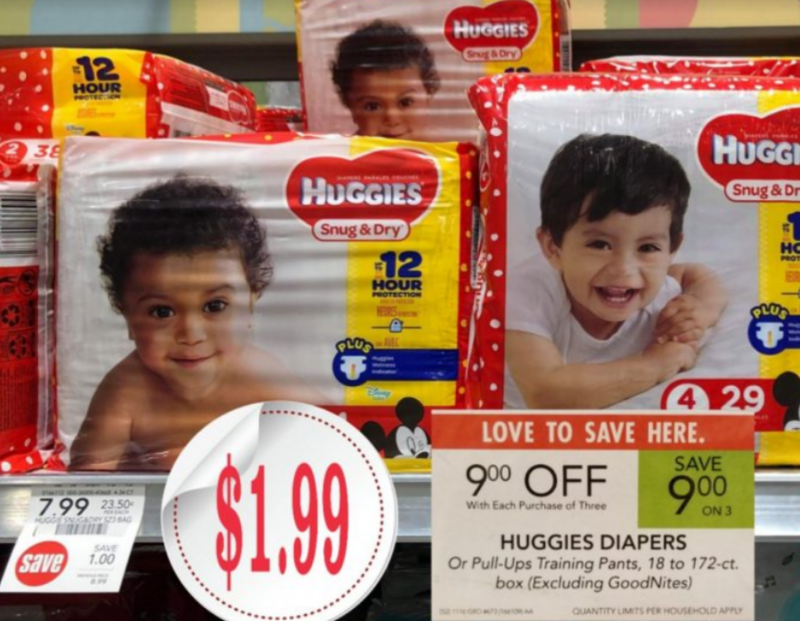 In addition to the sale they are also offering you $9 off (auto deducted at the register) when you purchase three packs of Huggies diapers or Pull-Ups Training Pants, 18 to 172 ct. Pair these sales with store and manufacturer coupons and pay only $1.99 a pack. Check the deal out below. Buy (3) Huggies Snug & Dry at $7.99 Unadvertised Sale. Total is $14.97 AFTER $9 OFF 3 auto deduct at the register. Pay: $5.97 for all three packs. That’s just $1.99 each pack.